Clapham South lies in south west London, within the borough of Lambeth and directly below Clapham Common, bordering Balham. Clapham South has many historical sites but is perhaps most famous for its deep level shelters which lie over 30 metres below the surface. Now open as a tourist attraction it’s possible to explore the maze of tunnels in the depths of the ground. 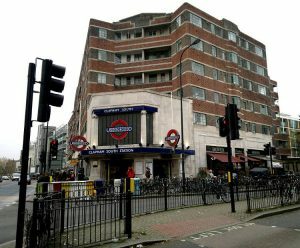 For those travelling by road, the South Circular provides direct access while for public transport the area has its own Tube Station on the Northern Line. 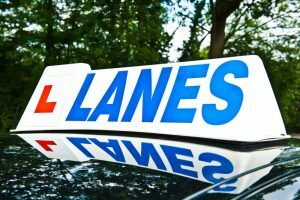 Lane Driving School is one of the longest standing independent driving schools in the UK, as well as one of the largest with a fleet of almost 100 cars. Originally set up in 1914, we pride ourselves in offering the very best driving instructors and personalised lesson plans which allow our students to progress at their own pace. Lanes’ reputation is synonymous with high quality and genuine care for the wellbeing of our students. With our lessons there’s no pressure or stress; we specialise in creating a relaxed environment to help you learn in an enjoyable way. We understand that it can be tricky fitting in driving lessons around your existing daily commitments so we offer flexible appointment bookings that suit you. We’ll also pick you up and drop you off at your home address, so you don’t need to spend any unnecessary time travelling to your lesson. We have been teaching the residents of Clapham South to drive for many years. Get in touch with us now by rising 020 8166 5678 or emailing via our contact page by clicking here. All of our instructors are hand selected and have been trained by Lanes, holding the DSA Approved Driving Instructor. This together with the vast experience they hold makes our instructors among the best you’ll find anywhere. Lanes know that the relationship between a student and their instructor is integral to making the experience as easy and enjoyable as possible. This is why you’ll always have the same instructor who will create a tailored lesson plan designed to meet your individual needs. 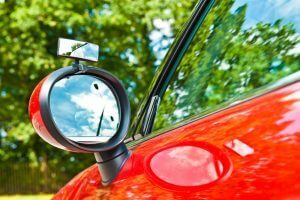 All of the lessons will be taken at your own pace so you can relax and just focus on learning to drive. We have a large team of driving instructors in Clapham South ready and waiting for your booking. Give us a call today to find out more on 020 8166 5678 or email us via the contact page by clicking here. It’s as important to feel as relaxed as possible when you’re learning to drive but some students find it particularly nerve-wracking. All of our driving instructors are supportive and trained to help even the most nervous of students, but we understand that some of our female students would prefer a female driving instructor. We are more than happy to oblige and have a team of female driven instructors who can be specifically requested by our female students. If you’d like to find out more about about female driving instructors in Clapham South, give us a call today on 020 8166 5678 or contact us by clicking here. Over the years Lanes have found that many of our students prefer learning to drive in an automatic car. Although some drivers prefer the greater control that a manual car offers, an automatic is far easier to learn to drive. With automatic driving lessons you don’t need to learn how to change gears or move off without stalling; this makes progress much quicker and far less stressful. If you’d like to know more about automatic driving lessons in Clapham South, get in touch with us now. You can either email us via our contact page by clicking here or by calling 020 8166 5678. Lady Lanes provides female pupils with female instructors who, in our opinion, have better empathy for the needs of female pupils. After all, they were female pupils themselves once! Are you interested in becoming a Driving Standard Agency Approved Driving Instructor?